Rum-Shack-a-Lack Cafe-BarRum-Shack-a-Lack is a Rum Bar serving traditional Caribbean street food. Rum-Shack-a-Lack brings to you an exciting mix of tastes and flavours, combining punchy Caribbean spices with the fusion of tapas style dishes. Pouring real ale, craft beer, cocktails and Fairtrade coffee. 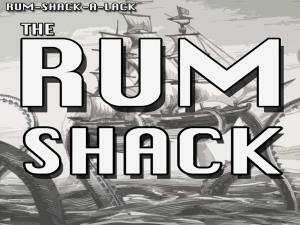 Rum-Shack-a-Lack is a Rum Bar serving traditional Caribbean street food. Chill out to some Ska/Reggae/RnB and experience something new! Mon & Tues 12.00 - 20.00, Wed & Thurs 12.00 - 22.00, Fri & Sat 12.00 - 01.00, Sun - closed.